In a keynote lecture pronounced by Professor Salim T S Al-Hassani in September 2003 at the European Parliament in Brussels, he used slides and 3-D animations to outline the impressive heritage which Europe received from the Muslim World which helped trigger the Renaissance. He stressed in particular the need to remember contributions in the development of science and technology in the perspective of building an environment of understanding and mutual appreciation. We publish this text as a vibrant and timely plea for integrating the Muslim dimension into the history of Europe and in particular in the schools' curricula. In the Islamic world, early Muslim scientists and physicians played an essential role in developing healthcare practices, tools and ethics that continue to affect our lives to this day. Among the most significant developments in healthcare brought forth by the Islamic world was the introduction of hospitals. In the 8th century, Al-Walid bin Abd Al-Malik, a Caliph (chief Muslim civil and religious ruler) of the Umayyad Caliphate (Islamic system of government of the 7th and 8th centuries ruled by Prophet Muhammad’s descendants, the Umayyad dynasty), was the first to construct a purpose-built health institution, called the bimaristan. Derived from the Persian words ‘bimar’, meaning disease, and ‘stan’, meaning place, such institutions not only looked after the sick; they also actively pioneered diagnosis, cures and preventive medicines. The Middle East and North Africa had a large number of bimaristans, which were sometimes mobile and would often fulfil the role of medical schools and libraries. Among the most esteemed were Bimaristan Al-Nouri in Damascus, built in 1154 by Sultan Nour Aldeen Zanki; Bimaristan Marrakesh in Marrakesh, built in 1190 by Caliph Al-Mansur Ya’qub Ibn-Yusuf; and Bimaristan Al-Mansouri in Cairo, built in 1248 by Sultan Saif ad-Din Qalawun as-Salihi. These bimaristans were known to open their doors 24 hours a day and had hundreds of beds to receive patients, regardless of race, religion or background. Some were even known to provide patients with special attire: one kind for winter and another for summer. We focus on Ibn Khaldun's contribution to economic thought. We publish contributions by recognized scholars who endeavoured recently to give Ibn Khaldun long overdue credit by placing him properly within the history of economic thought. Ibn Khaldun (1332-1406 CE) addressed the issue of economic growth in his influential book Al-Muqaddima (The Introduction [to history]). Ibn Khaldun's reflection on the economy, the sociology, and the material aspects of human civilisation is well known to scholars, but was, until recently, long forgotten in the history of economic thought. Most importantly for Nasr, Muslims should not look to science to confirm metaphysical beliefs, but rather leave to science claims only about the natural world, not the supernatural one. He asks Muslims to be wary of “the prevalent view … from which God is simply absent, no matter how many modern scientists believe individually in him.” Modern Islamic scholars, he argues, unlike their traditional counterparts in the past, are “particularly bereft of responses” to the question of Transcendent Cause and the role of God. For him, older Islamic though had better answers to such questions, and this is why so many scholars are more interested in older relations between Islam and science than in contemporary ones. So what should be done? First, he wants Muslims to stop seeing themselves as inferior to Western science and technology, and to instead approach it as at least an equal. Again, he especially suggests that Islam and its ethics has a powerful rejoinder to Western science, which while it may put a man on the Moon still cannot stop teenagers from killing each other. Second, he recommends there be an in-depth study of traditional Islamic sources, from the Qur’an to the traditional works on the sciences and philosophy. The goal, he argues, is to create an “Islamic world-view and especially [an] Islamic concept of nature and the sciences of nature.” He wants scholars to do this within the framework of Islamic tradition, not through simple readings of decontextualized Qur’anic verses. Third, he suggests that more Muslim students should study “pure” sciences and not technology. He believes the Muslim world already has sufficient numbers of engineers, but that what it really needs are more scientists who can see beyond immediate utility. Kalouche: You have positively assessed the impact on post-colonial Africa of Western philosophical theories interested in »equality« and that privilege »populism«. What do you think of equality and populism today? Both egalitarianism and populism are under attack: countries or leaders who even dare meddle with them have been recently the victims of campaigns orchestrated by the media: just to cite a few, Chavez and Venezuela, Castro and Cuba, Mugabe and Zimbabwe, and even Thaskin in Thailand. Their populism involves the glorification of the »ordinary individual« (that you attribute to Rousseau) that does not sit well with »liberal individualism« (that you attribute to Mill). Is the ordinary individual no longer viable in the age of the »global elite«? Are political theories based on »populism« and »egalitarianism« defunct in the age of »consumerism«? Mazrui: The individual can never be completely unimportant because, after all, every human being has to be valued as a human being, otherwise we give elites, governments, and tyrannies too much power if we say that so and so is just an individual and that we can liquidate them. Secondly, we must create conditions in which individual initiative and individual genius can sometimes flower. It's true that great moments in history are the products of collective action but there are also great discoveries that are partly the product of great leaps of the imagination by individuals who are brought up in societies, in particular cultures, but who, nevertheless, are riding on the shoulders of giants before them. So you cannot rule out individuals completely. It is true that »individualism« as an ideology is substantially discredited and can be dangerous because it gives too much power to situations of unequal distribution. So we need »individuality« rather than individualism, individuality that is valued rather than individualism as an ideology of preeminence. Then, I personally believe that some values are instrumental and others are fundamental. I belong to a school of thought that regards »justice« as the most fundamental of all values and that some other values, including freedom, equality, and populism are considered as instrumental towards justice. So you have freedom or you pursue equality not for their own sake but in order to realize greater justice in society. As for people like Robert Mugabe, for example, he was in pursuit of racial justice in Zimbabwe but he was not pursuing it in ways that use freedom as the means towards it. So the question is, was he using the best means towards justice? There are some means for the pursuit of justice that are better than others, and some of the ways in which he was handling the situation were unnecessarily sacrificial of the value of means. Means also have a value but it's just instrumental value rather than ultimate value. Kalouche: Two major views about epistemology are reflected in your work: first, the view that Western Philosophy and Science destroyed or have been in the process of destroying (since the days of slavery, imperialism, and colonialism) structures of knowledge that are not Western, and second, the view that there is no epistemology that is properly Western since all forms of knowledge were developed by humanity and have inherited from each other and affected each other. How would you clarify these seemingly contradictory positions? Mazrui: There's an element of truth in both. There is a sense in which the Western approach to knowledge has become dominant partly because educational systems have become patterned after the West and because the prestige of Western know-how has become globalized. We then learn from the West and our schools are structured in imitation of the West and knowledge itself is in the image of the West. On the other hand, it is true that what the West knows is itself built on contributions of many other civilizations and that these other civilizations add to it across time. We do use numerals that, to the present day, we call Arabic numerals and the Arabs themselves responded with those numerals from Indian influence. The impact of the Greeks on the Arabs became a factor that, in turn, made the Arabs influence Western Europe through various dimensions. And the Chinese initiated knowledge and methods of knowing directions, including the use of the compass, as well as gun powder, etc. Some of these additions to human knowledge may be good and others not so good. Nevertheless, they are all part of the total sum of the human experience. So it is true that what passes for Western knowledge today was built on an accumulation of the expertise coming from many different civilizations. Both those statements are then correct: that the West as a system of knowledge today is triumphant but the West itself is built on foundations that are not entirely Western. Kalouche: You constantly point to certain cultural forces that have somewhat become more dominant than others in shaping ways of relating to the world, and that may be affecting sources of knowledge. While in the past, religion, philosophy, and ideologies were prominent forces in these processes, do you consider the new media, including various information and communication networks as becoming the dominant sources of knowledge in today's world? Mazrui: They are definitely transmitters. The issue of whether they are the medium or the message is to be debated, whether they are just transmitting what is available in terms of older traditions of religion, philosophy, ideology, ideas and discourse, or whether they themselves become, in addition, a message in their own right. And you could definitely argue that there is some truth in the MacLuhan argument, that the medium and the message have achieved greater fulfillment with the triumph of the computer and the internet in our own time. And then some of the old ideas have died in schools or at least are in intensive care. So all the classes of philosophy that used to be much bigger, even when I was a student, have shrunk in size and other courses are much bigger. The biggest course today on this campus (Binghamton University, New York) is a course on »Terrorism and War«. Perhaps one day there was a time in the United States when the biggest course was on »Western Civilization from Aristotle to Jefferson«. If you had such a course today, you probably wouldn't get five hundred students enrolled—but for »terrorism and war« you do get five hundred students. So there has been a change in emphasis, which is striking, some of it is by no means healthy. Kalouche: Do you see these transmitters as transmitting knowledge within an »inter-cultural«, a »mono-cultural«, or a »multi-cultural« environment? Mazrui: Not intercultural. Intercultural assumes there is a lot of two-way traffic going on. I don't think there is enough of a two-way traffic going on. But multicultural, I would buy, in that it's now more than mono-cultural. It has become multicultural in the sense that different cultures are participating but not yet interacting with each other adequately. So cultures operate within cultures and only in a limited manner between cultures. But the final destination may be towards greater inter-cultural communication. While many secondary school students struggling through math classes may not appreciate the importance of algebra, it is one of the most important contributions of the Muslim Golden Age to the modern world. Speaking of universities, that is also an invention made possible by the Muslim world. Early on in Islamic history, mosques doubled as schools. The same people who led prayers would teach groups of students about Islamic sciences such as Quran, fiqh (jurisprudence), and hadith. As the Muslim world grew, there needed to be formal institutions, known as madrasas, dedicated to the education of students. Science said 'Cognition is everything'-and forgot that cognition without an ethical goal can lead only to chaos. Knowledge itself is neither Western nor Eastern: it is universal -just as natural facts are universal. But the angle of vision from which facts can be regarded and presented varies with the cultural temperaments of nations. One may at all times receive new, positive influences from a foreign civilization without necessarily abandoning his own. But only if we regain our lost self-confidence can we expect to go forward once again. Today is Pi Day, people, I mean geeks across the globe are celebrating this Greek symbol that has tormented and delighted people in Mathematics for centuries! It is one of the most unique constants in the world, it can currently be quoted up to 1 trillion digits past its decimal. Jamshīd al-Kāshī born in Persia ranks as one of the greatest mathematicians and astronomers of the Muslim world. He produced 16 digits of π in 1424 using a polygon, it stood as a record for about 180 years. 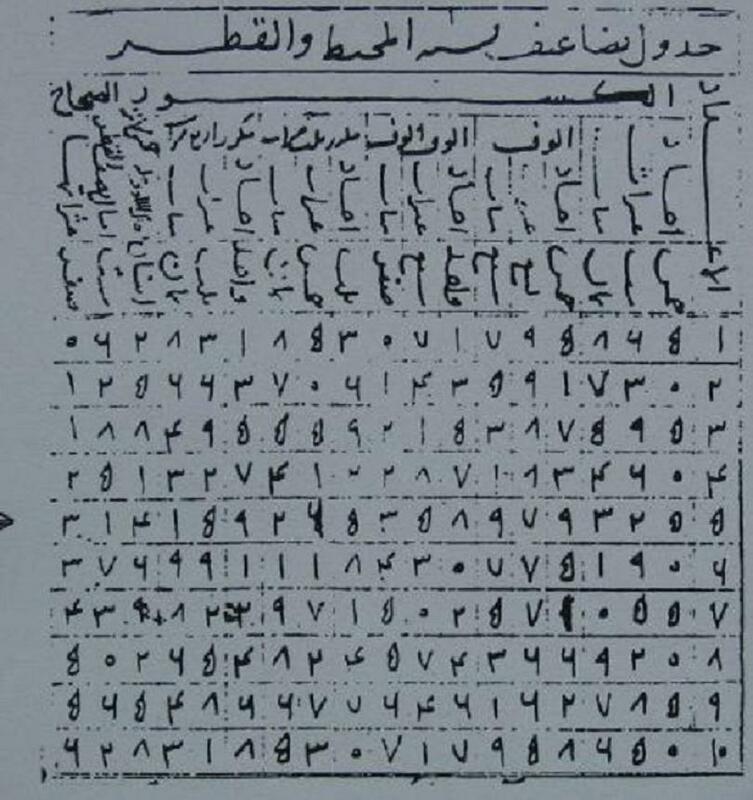 He would go on to become a prolific writer, producing books such as Miftāḥ al-ḥisāb (Key of Arithmetic). He died in present day Uzbekistan. We cannot dismiss out of hand the experience and the practices of any civilization because the fitra [primordiality] is still there. It may be submerged, perverted, misunderstood, but it cannot be entirely erased because it is part of the human composite. You can't do away with it. You can't have a human being who is wholly ignorant and is wholly evil. Everyone has some inkling of the khilafa [stewardship]. Now, the virtue that we might wish to look at here, is the virtue of tafakkur [reflection] or fikr[thought], which is the one of the pillars of the Quran's epistemology. This is the description of the ulul al baab [people of understanding]. And no appreciation of Islamic understanding of education can be complete unless we understand this particular piece of Quranic vocabulary. The 'loomp' is, in the Quran's vision, the essence of man. It's a word that originally means a seed or a core--in other words that which is at the center, perhaps invisible to outside observers, but that which is fruitful and can lead to a posterity and can lead to infinity. It's potentiality. And the ulul al baab [people of understanding] are people that have this potentiality. And one of their attributes in these great culminating verses of Surat Al Imraan is that they remember Allah--they have dhikr [remembrance] standing, sitting, and on their sides--and they have fikr because they think about the way the Heavens and the Earth are created. All of the pointers have distracted us from what is being pointed to. 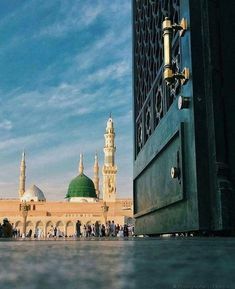 Sayyidna Muhammad (sallallahu alayhi wa sallam) [Prophet Muhammad] who is the archetype of tafakkur [reflection] because this is what he was doing for his tahannuf [secluded reflections] . . . contemplating the creation of the heavens and the earth, how everything is put together in superb symmetry, beauty and balance.You don't see any inconsistency in the Creation of Allah. And the balance of the universe is one of the great marvels that has been uncovered by modern science. We all know (apparently) that if the energy generated by the Big Bang had been infinitesimally greater, then the formation of matter would have been impossible. If it had been infinitesimally smaller, then the process of expansion would have stopped almost instantaneously. So from the point of view of secular science we are living in the great, mysterious improbability. I think the statistics against it are somewhere in the order of 1 to the power of 50 [i.e. 1:1 X 10^50]. Virtually an impossibility. But here we are, and they have something called the Anthropic Principle, which they think explains why we should happen to be here. If we weren't here, well, then we wouldn't be talking about it, so, in a sense, the question is irrelevant. Here we are and too bad. From a theologians point of view, we would say well, this makes it look as if faith, blind faith, is a much stronger principle for atheists than it is for believers. We have a coherent explanation. They just have a view of the world as being virtually an impossibility, but here it is and we just have to accept it. That's blind faith, if you like. Despite this marvel, that there should be anything at all. They are nonetheless preoccupied with looking at the marvels. The Hubble Space Telescope with its deep field can look further and further away exploring the mysteries of the first moments of Creation from the most remote galaxies. But what it can't tell us--what it hasn't been designed for--is 'why?' And that can only be known, ultimately, through kashf [metaphysical revelation] because there is nothing in the logic of the created world that can irrefutably point to beyond it's own nature. Philosophical arguments, higher mathematics, Hubble Space telescope cannot reach beyond themselves. That's not what they're for. They are part of 'ard [earth], they are part of the physical world. It's one of the greatest errors in religion to think that you can come up with an argument--rational argument--on the level of argumentation, of logic, that proves anything. You can't do that--the system is closed and is circular. You can point to the coherence of theism, and this is traditionally what ilm-ul-kalam [scholastic theology], in Islam, has done. You can show how it is the best possible, best available explanation, but you cannot prove anything definitively. The physical--and human argumentation is in the realm of the physical--cannot reach the metaphysical. Metaphysical reaches the physical, not vice versa, because it's higher.It says in Surat Al Baqarah that absaar, or perceptions . . . cannot attain Him. How can they? A fallible human brain cannot attain the reality of the Mind that created everything the Hubble Space telescope can see. They are categorically different. But that Mind certainly sees what we see and what we know. He is Ar-Raqib, the Watcher. He is Ash-Shaheed, the Witness. Ziryab lived in medieval Spain more than a thousand years ago. He was a freed slave who made good, charming the royal court at Córdoba with his songs. He founded a music school whose fame survived more than 500 years after his death. Ibn Hayyan of Córdoba, one of Arab Spain's greatest historians, says in his monumental Al-Muqtabas (The Citation) that Ziryab knew thousands of songs by heart and revolutionized the design of the musical instrument that became the lute. He spread a new musical style around the Mediterranean, influencing troubadours and minstrels and affecting the course of European music. He was also his generation's arbiter of taste and style and manners, and he exerted enormous influence on medieval European society. How people dressed, what and how they ate, how they groomed themselves, what music they enjoyed—all were influenced by Ziryab. As part of the International Year of Light and Light-based Technologies 2015, UNESCO is hosting an international conference from 14-15 September 2015 at its Paris Headquarters focusing on the accomplishments of the Islamic civilization in its Golden Age (VIII-XVth century) and the life and works of Ibn Al Haytham, whose pioneering Book of Optics (Kitāb al-Manāẓir) was published around 1,000 years ago in c. 1028. During the reign of ‘Abd al-Rahman III (912-961), Islamic Spain began to make its own contributions. ‘Abd al-Rahman III was passionately interested in both the religious and the secular sciences. He was also determined to show the world that his court at Cordoba equaled in greatness that of the caliphs at Baghdad. Sparing neither time nor expense, he imported books from Baghdad and actively recruited scholars by offering hand some inducements. Soon, as a result, scholars, poets, philosophers, historians, and musicians began to migrate to al-Andalus.